Hello, I'm Ben Jordan your local therapist of Bark Busters Home Dog Training Plymouth Tavistock, Ivybridge and East Cornwall regions. I’m here to help you overcome any behaviour problems you may be having with your dog. As a dog lover and owner myself, I understand the challenges that owners can face when trying to get their dog’s behaviour under control. I understand that you might feel overwhelmed, or feel that you have failed in some way. I can promise you that you haven’t, and I will never judge you or criticise you for your dog’s ‘unacceptable’ behaviour. Instead, I will show you the Bark Busters training techniques to help you communicate with your dog so that you can rebuild your relationship. Our system is easy to understand for both dogs and their owners and to make it part of their life. There are no harsh methods, and no use of hands or other equipment to cause pain or distress to your dog or puppy. By simply learning our techniques of voice tone and body language, your dog will soon start to listen to you, and those unwanted behaviours will be a thing of the past. At Bark Busters we ‘Speak Dog’ and I will show you how to do the same. 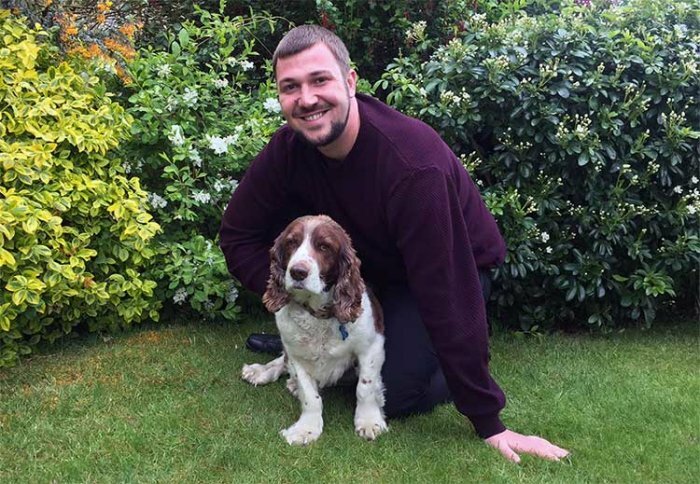 I provide training and behavioural services in your home, our appointment will take place in your home, where you and your dog are most relaxed and where most of the problems occur. We will meet at a time to suit you to ensure that you have the time available to get the most out of our lessons. I will take time to listen whilst you explain your concerns about your dog’s behaviour. I will explain how the system of training works, and how we will be using it to deal with the issues you have outlined to me. Once you are happy, we will start with some techniques to get your dog listening to you again. I will show and guide you through the training process, and we will work at a pace that suits you and your dog. 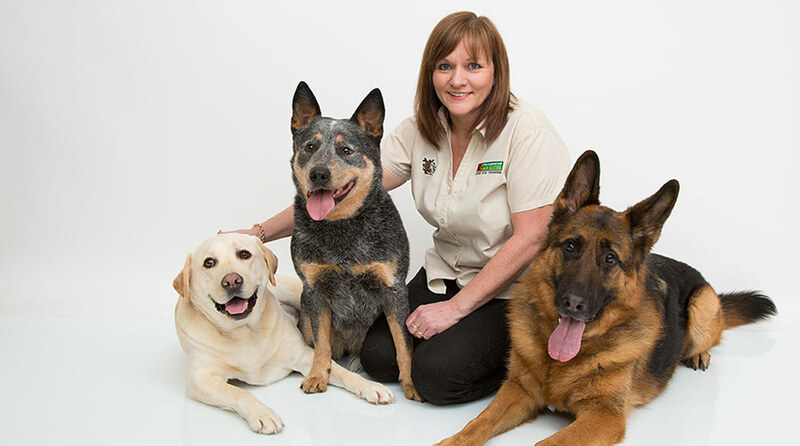 Many of the common problems I am called in to help with include, separation anxiety, sibling rivalry, barking, pulling on the lead, recall, aggression to other dogs and animals or people, destructive behaviours, toileting, or a combination of any of these. You can relax in the knowledge that, however your dog challenges you, I have probably come across the issue before. I am also happy to offer puppy training services in your home. The training for a puppy will evolve as he/she develops, and involves much learning through play. Like all of the behaviour and training service I offer, you will receive written instructions to help you, lots of information for reference, and the guarantee that I will support you as needed for the duration of your support guarantee. My previous work experience has taught me that people learn at different speeds and in different ways. Dogs are no different. I will teach you the techniques and show you in a calm and consistent way and I will always be available to answer any questions or to give you a little extra help and guidance. We will work together to resolve your dog’s issues, and I will be the first to celebrate with you once you have achieved your goal. If you would like to find out more about how I can help you, please don’t hesitate to get in touch for a no-obligation chat. I look forward to meeting you soon.